The opening scene of Dees Rees’s Mudbound shows two brothers digging a hole in the dreary half-light of an approaching storm, surrounded by mud. This scene bookends the film as we spend the rest of the film finding out how the characters got there, and evokes Faulkner’s As I Lay Dying — a stormy and unforgiving Mississippi, full of mud, washed out bridges, and the need to bury dead relatives. 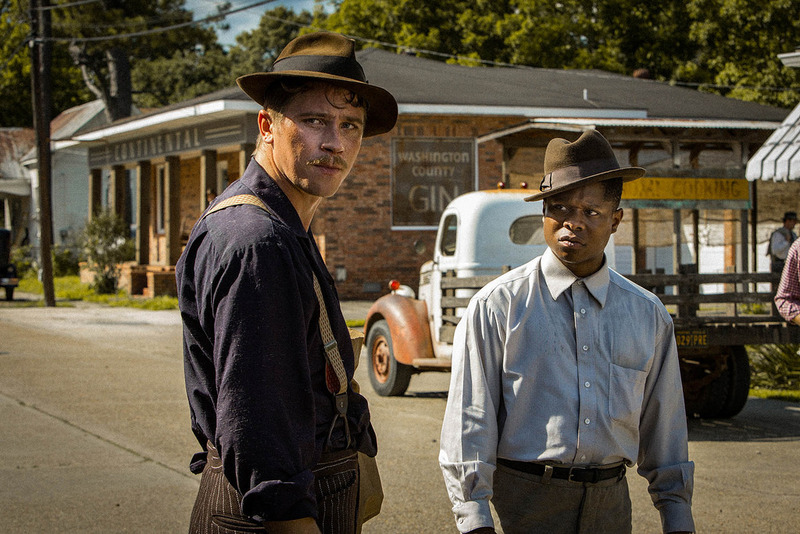 Mudbound is a period drama, set in the Jim Crow south before and after the Second World War. The film is incredibly novelistic in its depiction of the entangling of two families, one black and one white — it’s little surprise Mudbound is based on a novel. These two families and how they exist in each other’s space is what the film is concerned with; the Jacksons work on the farm that the second family, the McAllans, have recently bought. Both families have men away at war, Ronsel the eldest Jackson son (Jason Mitchell who played Eazy-E in Straight Outta Compton) and Jamie (the charismatic Garrett Hedlund) one of the McAllan brothers. When the men return they are changed, but the Deep South they inhabit is not. The performances are brilliant and nuanced, in particular Carey Mulligan and Mary J. Blige, coupled with a lot of women behind the camera makes this movie feel very female — even with the narrative focus resting on the male characters it feels as though we primarily see it through the eyes of the mother and the enamoured sister-in-law and wife. Garrett Hedlund and Jason Mitchell also stand out in their performances as Jamie and Ronsel, their sincere friendship is the heart of the film. The cinematography is beautiful, Rachel Morrison captures the bleak vistas perfectly and the film often feels incredibly claustrophobic even under open skies, as its characters are trapped in their situations by things out of their control. With Mudbound Dees Rees has brought us Netflix’s best cinematic offering to date — an engaging period drama of epic but intimate proportions — the film carefully balances the perspectives of its different characters and feels cathartic in its final scenes. It manages to depict a Jim Crow south and all the ugliness that that entails without ever feeling excessive, even in the difficult to watch climatic central scene. It is poetic in its storytelling, carefully intertwining the different perspectives of its characters, but is very much in the vein of an American epic; telling a story we know well, well. Mudbound is available now on Netflix and has a limited UK release in Curzon cinemas this week.